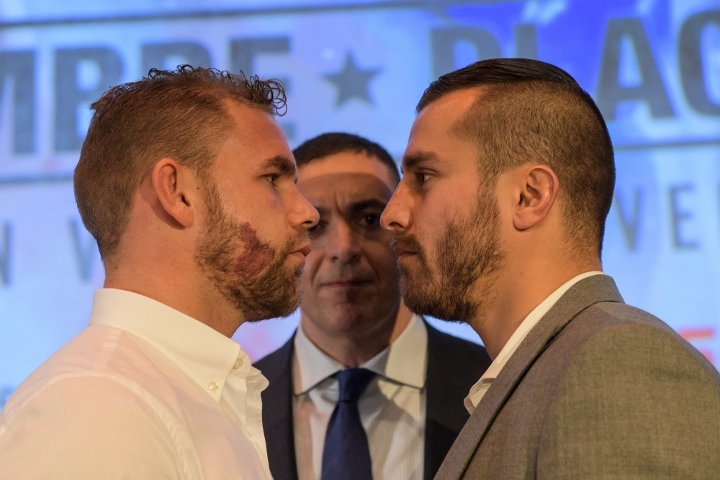 Once his own fight against Luis Arias ends November 11, the next middleweight fight that’ll matter to Daniel Jacobs is Billy Joe Saunders-David Lemieux. Jacobs expects to defeat Arias and then travel to Laval, Quebec, to scout the Saunders-Lemieux middleweight title fight December 16. Brooklyn’s Jacobs (32-2, 29 KOs) hopes to challenge the winner, perhaps in the fight after facing Milwaukee’s Arias (18-0, 9 KOs) at Nassau Veterans Memorial Coliseum in Uniondale, New York. The former WBA 160-pound champion knows winning the WBO middleweight title from the Saunders-Lemieux winner will make him a more attractive opponent for whoever wins the eventual Canelo Alvarez-Gennady Golovkin rematch. “I think it’s a great opportunity for me,” Jacobs said during a conference call Friday. “Like I said before, we’re going for these top guys. If we’re gunning for these guys, it would be that much better if we have a title. I think it’s a great possibility for the fight [against the Saunders-Lemieux winner] to happen. I think it definitely makes sense because those guys have been avoiding me for some time now, verbally and publicly. HBO will televise Jacobs-Arias and the bout between England’s Saunders (25-0, 12 KOs) and Montreal’s Lemieux (38-3, 33 KOs). Jacobs’ bout represents the beginning of his new multi-fight agreement to fight exclusively on HBO and his new partnership with British promoter Eddie Hearn, who also spoke during the conference call about Jacobs boxing the Saunders-Lemieux winner.